Shopping for one of the fastest Mac compatible USB flash drives that rival solid-state SSD drives in Read / Write performance? Recent advances in NAND flash memory technology and significant price drops are delivering select USB 3.X thumb drives with impressive levels of performance. That hasn't always been the case as typical flash drives haven't been particularly speedy. One of the performance leaders in the laptop and M.2 SSD storage space - SandDisk delivers a super-fast flash performance. It's Extreme Pro Flash Drive can deliver up to 420 MB/s read speeds on a USB 3.0/3.1 port. Other worthy contenders of note are Patriot's SuperSonic RAGE 2 flash drive claiming speeds up to 400 MB/s, or the PNY Pro Elite flash drive claiming similar performance. Note that LARGER flash drives (like SSD's) in the 256GB / 512GB capacity range deliver faster speeds than smaller capacity drives do. So if you can afford it - buy UP in size for the best transfer speeds possible. Here at www.ssd-for-mac.com we've been tracking Apple compatible SSD drives and the flash memory storage scene for many years: Long before Apple even began using solid-state drives in it's computers. 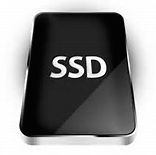 SSD storage had a long, slow evolution initially -- but then advances and changes accelerated at a mind-blowing pace. Once seen as too limited in storage capacity and far too expensive for consumer use, flash memory based storage was initially only affordable or viable in rugged military or industrial environments or as a supplement to supercomputing environs where speed mattered most. When the consumer solid-state storage market finally exploded, it's been a challenge to keep up with. Changing price/performance curves, advancing interface connectivity methods and more make this an incredibly dynamic marketplace to track. Even I struggle to keep up with the evolution of the consumer SSD space, but I do try - and share what I know to help other Apple computer owners make more informed purchase decisions about internal and external SSD computing hardware.